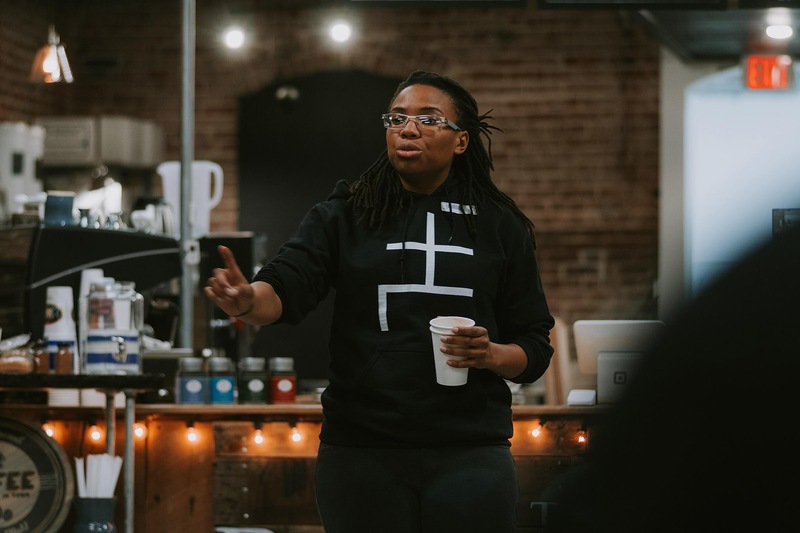 Today we are having our Coffee date with… Njeri Cooper. R: Hi Njeri. Let’s get to know you better. What’s your business about? How long have you been in business? And how did your business start? N: I teach people the technical skill of trading and investing in stock, foreign exchange, and cryptocurrency markets. For people who don’t have time to learn the skill, I provide portfolio management services. I started my business last May. I started after promising myself to use my skills and my passion for teaching to ensure I’ll never have to work another 9 to 5. R: Wow, that sounds amazing. How did you get there? N: I’m a 24/yo entrepreneur. Last year, I dropped out of college because I couldn’t afford it. Things were tough. I was broke. So, I decided that I would never let myself be homeless again like I used to be a few years ago. My grind mode was activated. I went on a journey for financial freedom. In May, I moved out of my beautiful home and found somewhere cheaper. I moved it with a couple of roommates and dedicated all the money I was saving to starting a business. I had a vision and passion. But I had no resources. I don’t know any business people in real life, so I took to Facebook. Last May, I started an agency and a entrepreneur society called “Global Investment Society”. The message I try to ingrain is Investing; We must invest in our minds, our businesses, and our lifestyles in order to become fulfilled as people. Creating the $ociety solved my two problems. Making money and having friends with businesses. I legitimately have a passion for connecting with real people and helping them grow. No matter what stage in growth they are in. Before deciding to build my business, I learned how to trade the forex and stock market. Now, I have free seminars for Millennial that are just like I was – Broke and hungry with no clue how to achieve their goals. R: That’s an amazing message for young entrepreneurs! If you could go back in time, What would you recommend to 16-year old you? N: Learn how to trade and skip college. Thank you Njeri for your time and your amazing responses. Do you want to learn more about Njeri Cooper and crypto? Go, check her sites here!